The target job applications are the applications utilized for a particular job. When you are targeting a particular job, you are making your application peculiar to the role and then this makes a target application. There are always advantages of making a targeted application. When you target your job application, you invest all your energy to impress the particular recruiter with your valued experiences and achievements. The Sample Applications you find here will give you an excellent idea. 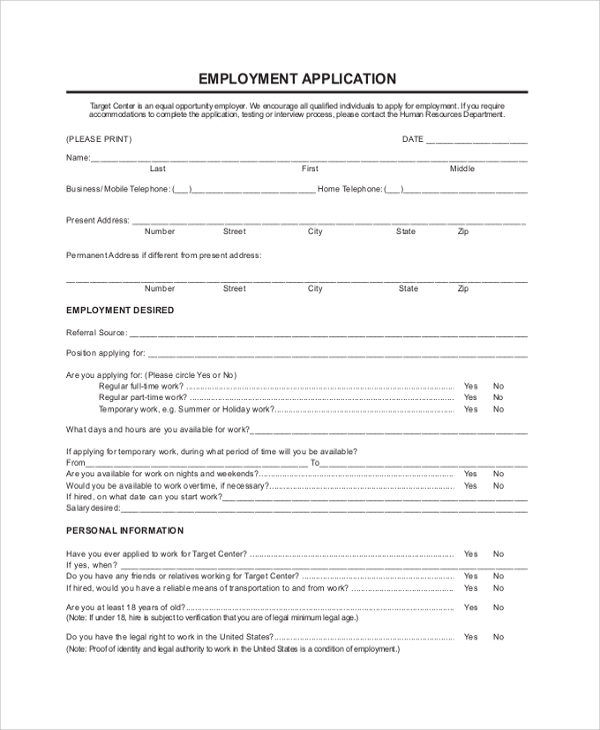 The cashier job application is much needed when you have to apply for the cashier job. This targeted application format is made to contain the exact format which helps in expressing all the information suitable for the role of a cashier in front of the recruiter. The sales associate job application is for the position of a sales associate, and this will contain your past experiences and talent, and that will make you the right candidate for the job of a sales associate. The retail store job application offers a much-targeted style to tell the retail store, why this candidate is the perfect pick for working in the retail store. The specific qualities of the candidate can be highlighted in this specific format. 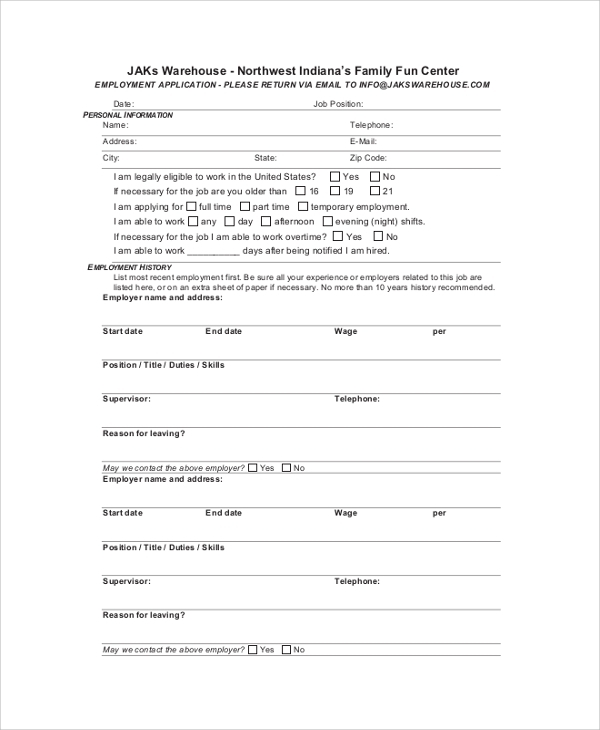 This part-time job application format is targeted in cases of only part-time jobs. Why the candidate is required to do a part time job, may not be important to mention as the recruiter is also looking for part timers. The job application is targeted with this letter. The style and format are all matched up to suit the job application specifically. 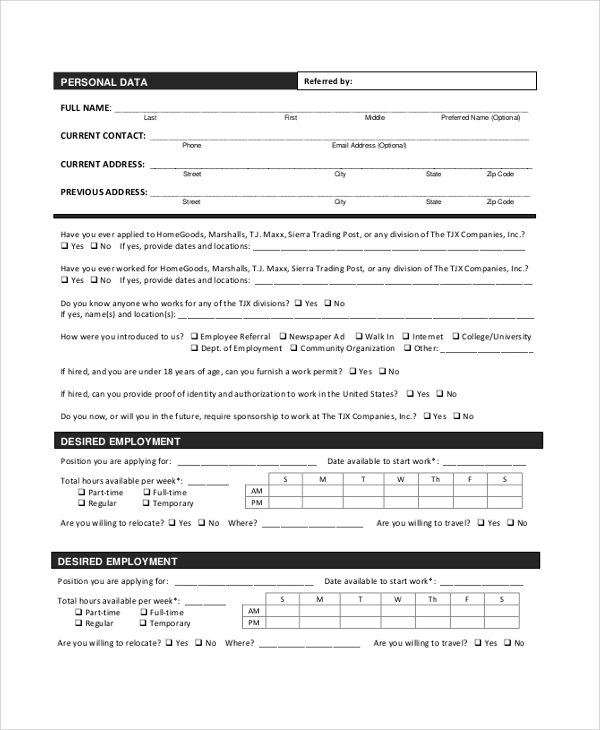 This basic form is helpful when you just need to apply for any job. The primary use of a targeted job application is particular. When you make a general style Job Application, which can be forwarded to any recruiter, any domain, and any job portal, then you miss highlighting some unique talents and points about you which can be of very crucial importance in an individual field. But when you know your target, you can arrange to highlight your experiences and abilities in such a way that is specifically relevant to the domain. This will help the recruiter to get a clear understanding of why you are apt as a candidate. Moreover, every domain has its style of getting applications, and if you don’t know the style, you can get ideas from these online samples. 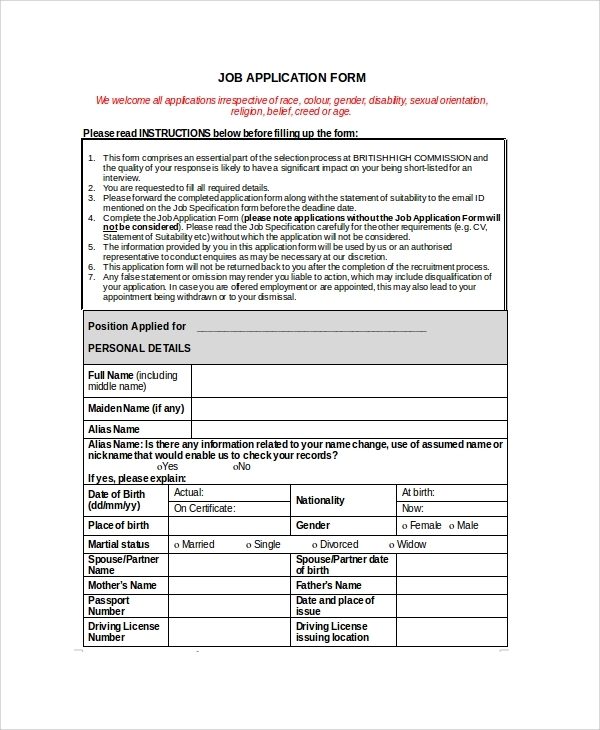 How to make a Target Job Application? 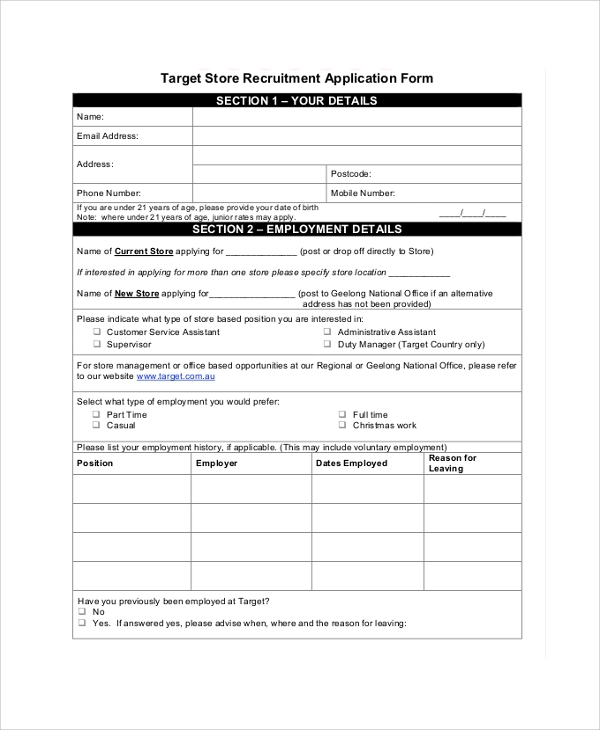 To make a target job application, you will first have to recognize the domain. Then the job you are applying for falls under which domain, and next what job role you are applying for. The combination will decide how you will target the particular job. Find out the specific requirement that the recruiters would be looking for in candidates. Then you will have to see how your experiences, achievement, and skills can be arranged in such a way so that your application will look a close match to them. 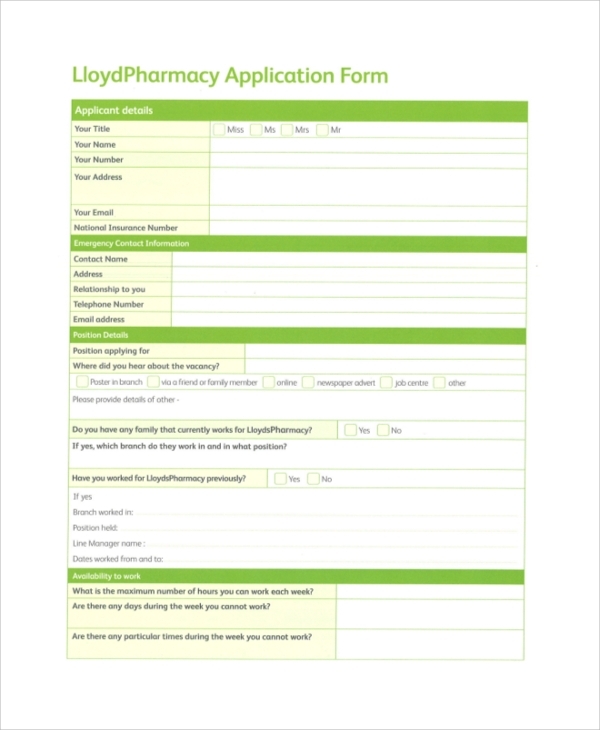 When you get confused about arranging points or fixing the layout, you may take ideas from the sample employment application forms online. 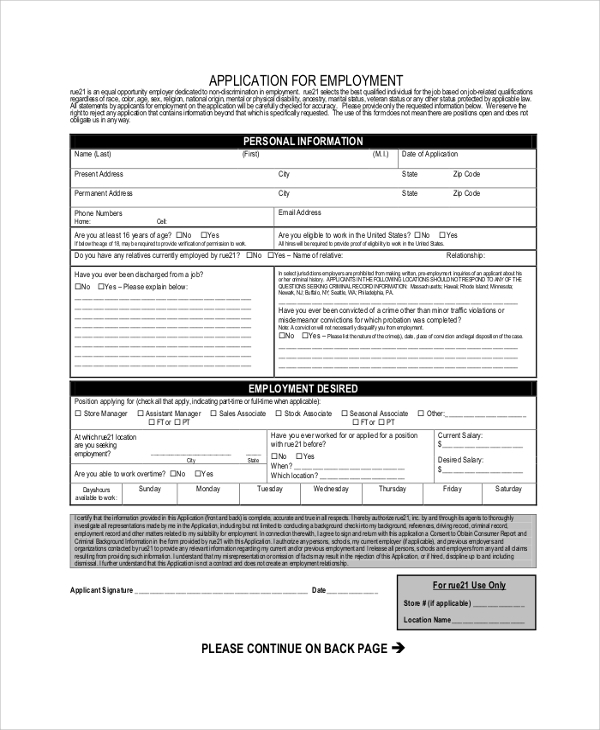 As you can see, there are so many styles of target job Application Letter Format samples available online. You can pretty well use them to get an excellent idea of developing one on your own. Downloading these samples is free, and you may even personalize a sample and create a copy for you.